An inquisitive bird with strong social and family values. The intelligent black crow is no bird brain. Eyes twinkling with curiosity this innovative black bird stands out from other species and perhaps this is what frightens those who oppose it. The crow is indeed a highly intelligent bird. Recently it is the crow's ability to make and to use tools that has been acquiring it a great deal of attention and scientific study.One of the defining characteristics of being human is the ability to make and use tools. Crows have accomplished one of the requirements to being classed as a human being. They have the ability to make and to use tools. A social bird they pass on the skills they have learned to their offspring as well as to other members in their group who might benefit from the knowledge. He appears inquisitive because he truly is interested in what he is visualizing. Always watching and learning the intelligent crow can and will mimic specific calls of other birds, animals, and even humans. The crow is a very intelligent bird and one to appreciate for his natural wit and amazing ability to learn. Studies show that crows will examine different tool options given to them and will not only choose a tool that is of the correct length or width for the assigned task but they will also design a tool of the correct design and dimension if it is necessary for them to do so. Crows will use sticks to acquire bugs or other elusive food from small cracks or crevices and they will even whittle sticks to make them thinner if this is the type of tool needed for the job. These birds have even successfully bent a piece of wire into a hook when it was required to retrieve the food which they were attempting to acquire. 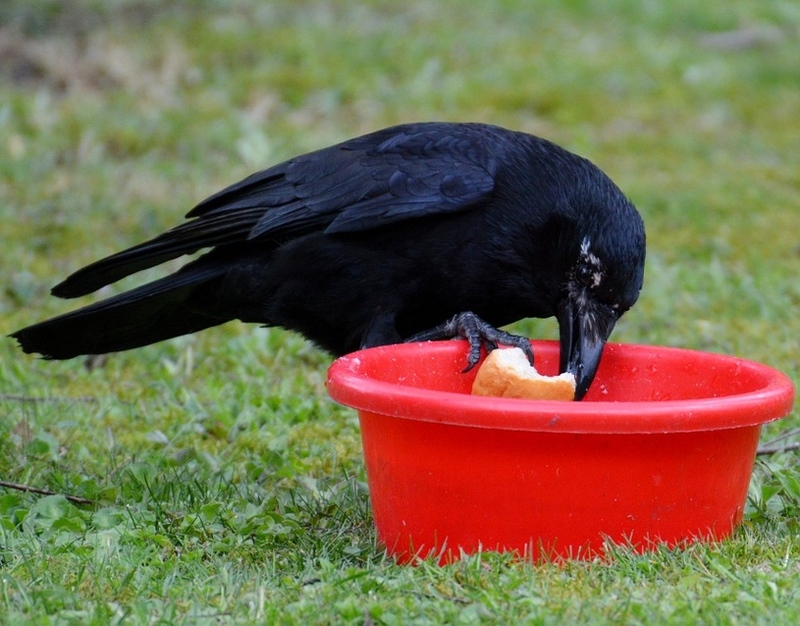 The Adaptable Crow Takes Advantage of Available Food Sources: When it comes to acquiring a meal the crow has devised amazing means to safely take advantage of available foods sources. 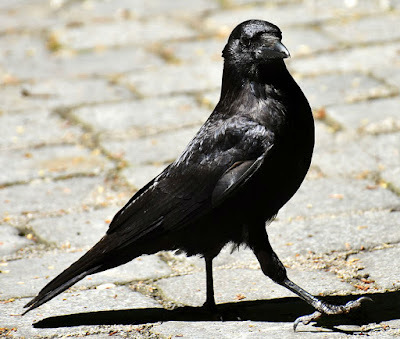 They have learned to drop hard shelled nuts onto sidewalks or road pavement to crack them and if this isn't successful, then this intelligent black bird aims the nut directly into a direct line of traffic so a passing vehicle will crack the nut for them. In addition to this the crow has learned to watch changing traffic lights and pedestrian crossing signals for safe time periods in which to retrieve their meal without the danger of being run over by passing vehicles. Much to the dismay of many individuals this black scout can memorize garbage routes and will show up on garbage delivery day. It is one of the aspects of their intelligence which most annoys us humans. 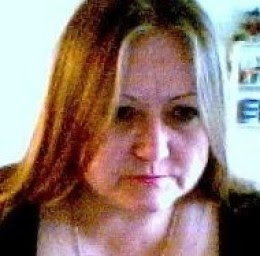 They are very much able to understand and remember time periods which will enable them to acquire the freshest meals. 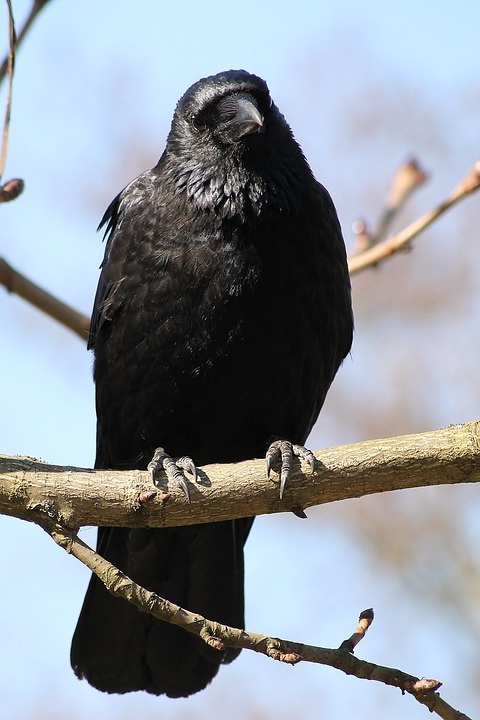 There is even some evidence that crows have the ability to recognize the concept of numbers. Rumor has it that when a certain number of hunters are pursuing them crows will wait for all of the hunters to leave the area, before they come out from hiding. Its Darkness is a Protection From Predators: Living wild is difficult for all species and each creature has its natural enemies. 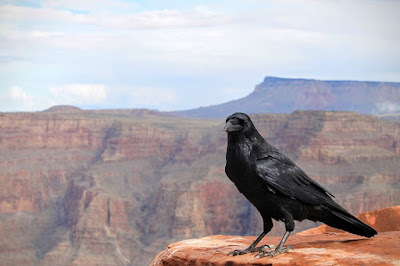 For crows their dark coloring is their protection. 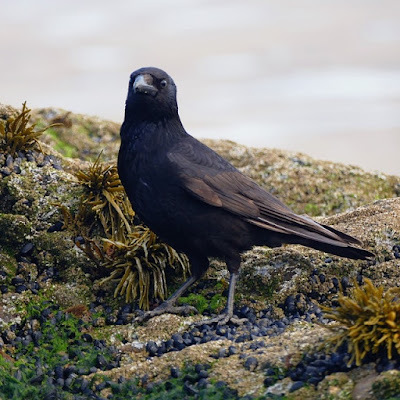 Often considered a pest because of their natural tendency to congregate in large groups at local feeding spots, it is often the crows black coloring which most creates fear and false assumptions about this bird. Black is a color often associated with negative the negative concepts of death, gloom, doom, pessimism, unhappiness, foreboding, evil or the bad guy in the whole scenario. The color black is actually a natural defense for protecting the crow from its enemies. A Crow's dark color tricks their predators into thinking they are a shadow. Owls and hawks are the crows primary predators and it is the crows black coloring which offers it invisibility to these enemies. Owls hunting at night are less likely to see the dark colored crow and when hawks search for a meal in the light of daytime a crow roosting in a tree will look more like a shadow than a meal. Despite the impending dark gloomy messages associated with crows this bird is actually not a very good killer. The crows beak is quite dull and unable to break through the thick skin of most animals. Although they do consume large amounts of roadkill they often rely on the vehicle or another animal to puncture the carcass so they will be able to consume it. A bird with strong family values crows mate for life. Like most birds they are highly family orientated and remain together as a cohesive unit for many years. Both parents as well as older offspring will work on building the family nest and caring for the young who reside there. Eggs will incubate for about 16 to 18 days before hatching. The chicks are born naked and defenseless with just a few sparse tufts of feathers on their body. 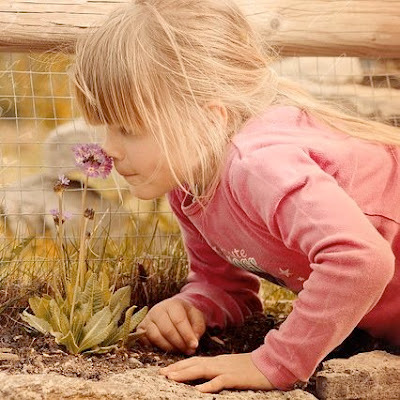 Older siblings will help care for younger siblings while they remain in the family nest. Young crows generally stay with their parents till they acquire a mate of their own between the age of two and five. When you notice a flock of between 3 and 15 of these black birds you are usually viewing a family unit. The families are often comprised of between 12 and 15 individuals. Like most birds crows have strong family values and when they win over their chosen companion they will generally stay together for life. 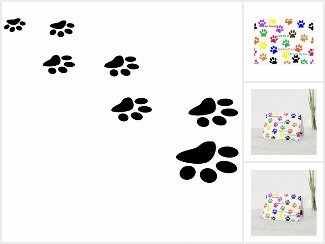 They are social creatures who are very devoted to their family units. Crows mate for life. The crows young will stay with the family for up to five years and generally leave the family nest after they have acquired a mate of their own. Crows will fiercely defend their own family unit and will also come to the aide of other crows in distress. During the winter crows have a natural tendency to form communal crow groups to keep each other warm. These groups can be anywhere from a few dozen birds to hundreds of thousands of birds and it is a system built to insure the safety and survival of their species. 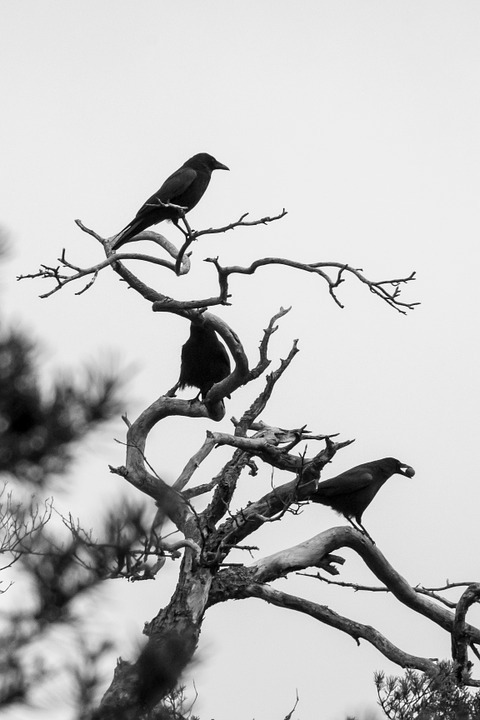 Although these communal crow groups may seem frightening to some individuals it is actually quite common for a variety of bird species to use numbers to increase their safety. Geese are a prime example of this trait in other bird populations. 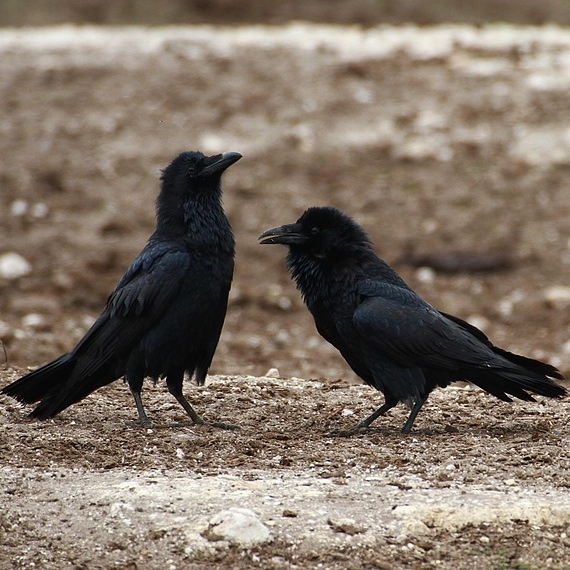 An interesting fact of crows is that they mimic language of other animals or birds. Always watching and learning the intelligent Crow can and will mimic certain calls of other birds, animals, and even humans. The crow is a highly intelligent creature and should be appreciated for his natural wit and amazing ability to learn. It is mainly in populated areas where groups of crows run into difficulties. As more and more urban areas offer up easily acquired food the adaptable crow moves closer to man and closer to misunderstandings and danger. He is a country animal adapting to an urban habitat. Within cities their use of garbage as a food source has individuals and entire communities angered. In rural areas farmers often blame the crow for crop failures. Crows do like to dine on a fine meal of cherries or corn but they also enjoy a number of tasty treats which are in our best interest to have them consume. Birds consume a vast array of insects and waste material such as decaying vegetation or rotting roadkill that would otherwise be harmful to ourselves and our environment. A crow earns its place in our society by cleaning up carrion and waste grain matter. We just have to learn to give our feathered friends a little credit for the good they do. Crows are an adaptable species and like most wilderness creatures are always on the look out for their next meal. Unfortunately they cannot read the territory boundary signs that we humans set for each other so they feel free to help themselves to whatever Earth's bounty presents itself to them. Use humane methods of setting boundaries for wildlife. I greatly admire the crow and all of the character that this bird has to offer up to our world. 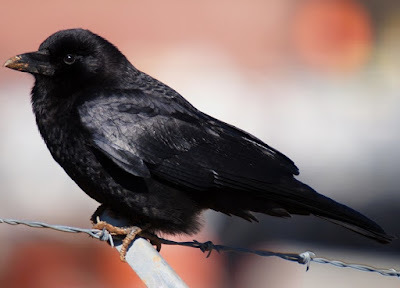 I tip my hat to him and hope that after reading this article that you too will give this black winged bird a little credit for being the intelligent creature that it is. Well worthy of our respect and admiration but often instead misrepresented, misunderstood, and unfortunately often also treated inhumanely by those who do not understand them. This is a resilient animal attempting to adapt to a changing landscape. It all comes down to a matter of tolerance and understanding. Our paths are bound to cross and until we can communicate verbally with one another it is best to let tolerance be our guide. Animals are really quite tolerant of us so perhaps it is time for humans to be a little more tolerant of their ways. Proudly inquisitive this black bird has adapted to urban living along with the rest of us. Grabbing a snack on roadkill, a local fruit tree, or a garbage can when it is set on the curb, the crow has become a professional at outwitting humans who try to ban its access to acquiring an easy meal. We share this earth together. Please respect the creatures who wander, flutter, gallop, and slither your direction. 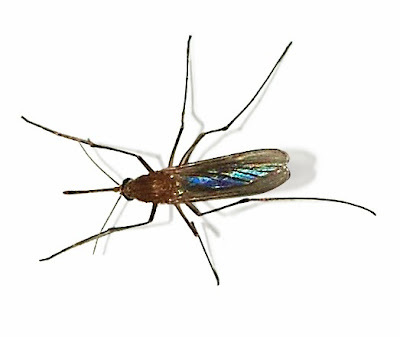 Use humane methods of pest control whenever possible. Crows are wise enough to be afraid of the owl who is a natural predator of the crow. A motion sensor owl is a humane animal control method to help keep the crows out of your garden. 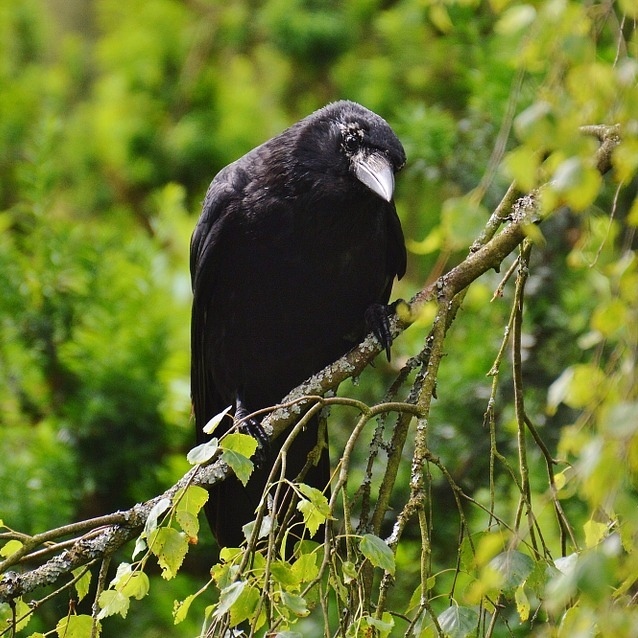 Note: Crows are sensitive to the effects of the West Nile Virus and this illness could reduce their numbers in the future.